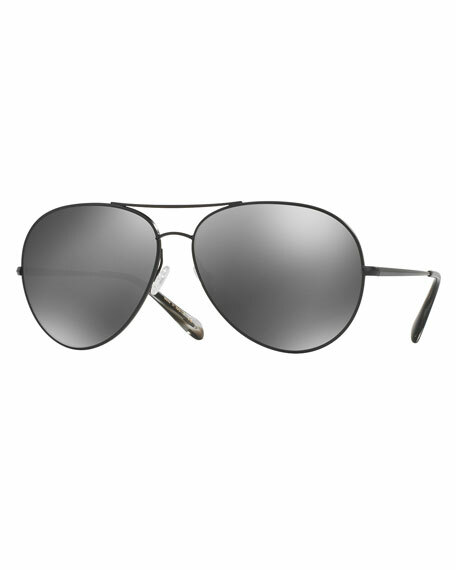 Oliver Peoples "Sayer" oversized metal sunglasses. Adjustable silicone nose pads for optimum fit. Custom Oliver Peoples hand-inlaid logo insignia. For in-store inquiries, use sku #2058713.